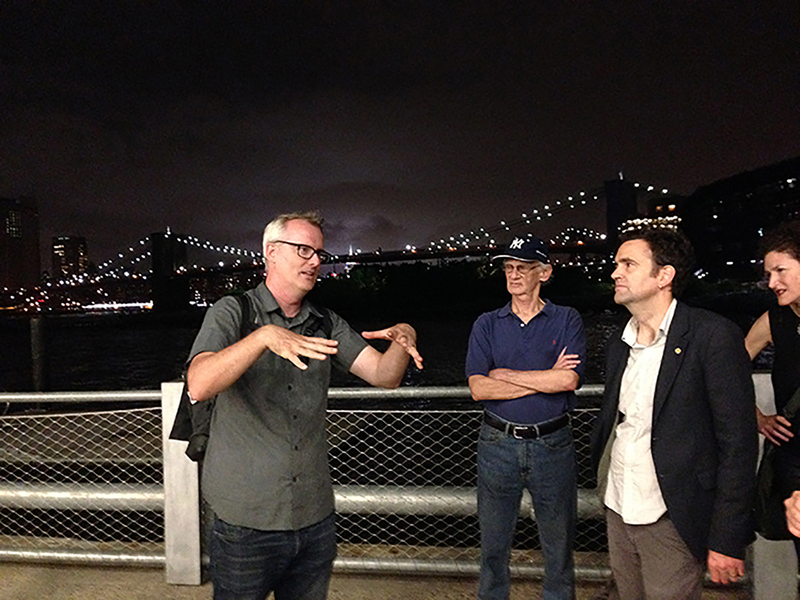 HAAUS organized an evening walking tour of Brooklyn Bridge Park, one of Brooklyn’s premiere public realm amenities, led by Gullivar Shepard principal of Michael Van Valkenburgh Associates (MVVA). 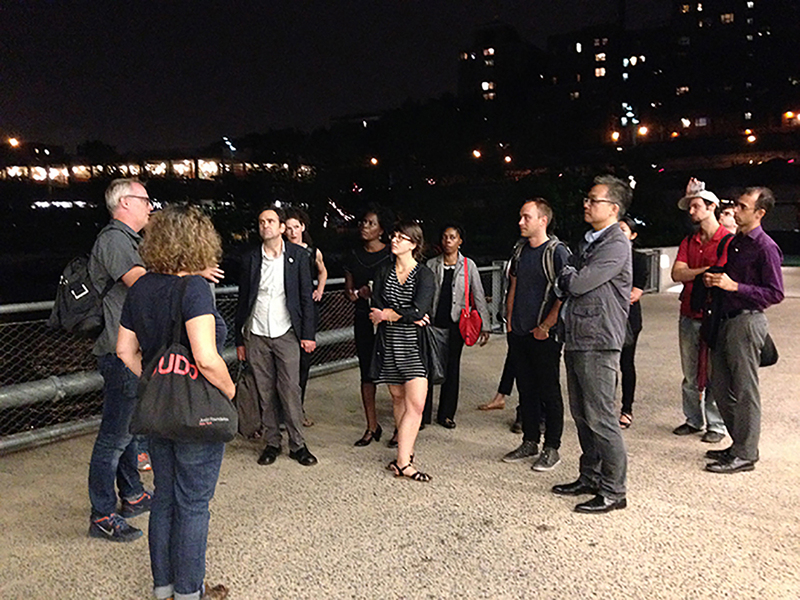 MVVA is the lead design firm responsible for the park and is responsible for the ongoing transformation of the Brooklyn waterfront. An informal reception followed at Gran Electrica.